The spring semester has officially begun! It’s not too early to schedule some relaxation into your routine to keep you from feeling overwhelmed as you settle back into the rhythm of classes. 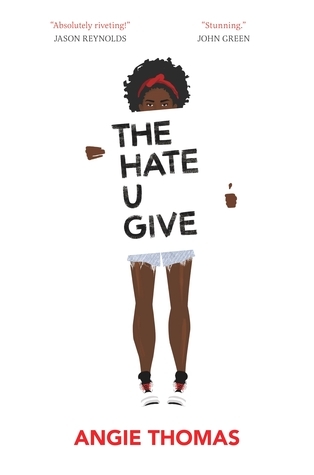 Read The Hate U Give. Standing on the New York Times Best Seller list for 101 weeks, The Hate U Give made its name with its sharp commentary on police brutality in the African-American community. When Starr Carter and her friend, Khalid, are stopped by a police officer at night, neither of them expects Khalid to be shot and killed. Reeling from the shock, Starr now has to deal with the aftermath of Khalid’s death and if she should be vocal about it. Listen to I Am. by JoJo. 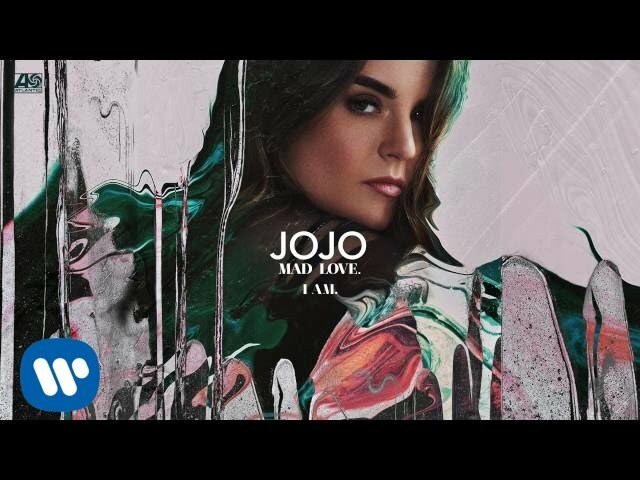 Rising to fame as a teen pop star on Disney Channel, JoJo started making her comeback to the music industry in 2016. I Am. recounts her journey of discovering self-love again and believing in herself. The soft instrumental allows JoJo to show off her soulful voice and powerful vocal range. The nostalgia of JoJo’s music and the power of her voice combine to create a quietly empowering vibe. Based on the Grimms’ Fairy Tales, this show takes a twist on the fairytales we all know by turning them into creatures that can sometimes be more animal than human. 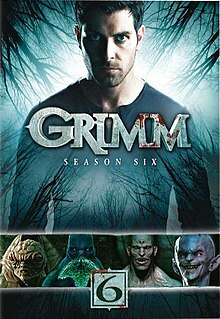 Nick Burkhardt is a detective descended from a long line of Grimms, people who can see the creatures we know from old stories, the Wesen. After the death of his aunt, Nick learns that it’s up to him to balance the powers between humans and Wesen. Watch Ant-Man and The Wasp. 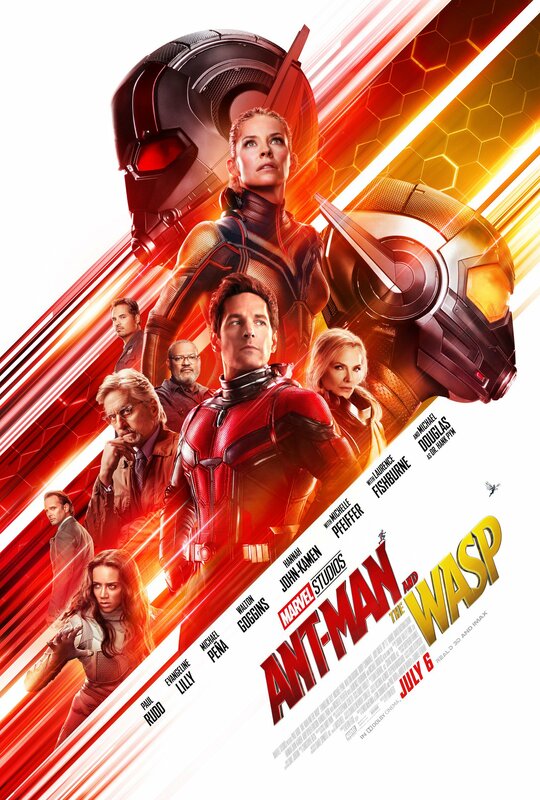 The most recent movie in the Marvel Cinematic Universe franchise, Ant-Man & The Wasp follows Scott Lang after the events of Captain America: Civil War. Under house arrest, Scott has to balance fatherhood with starting his new security company with a friend from prison. When the chance arises to make amends with Hank and Hope Pym, he has to decide between being a hero and being the father that his daughter deserves. It’s time for the Department of Theatre and Dance to put on their spring musical again. 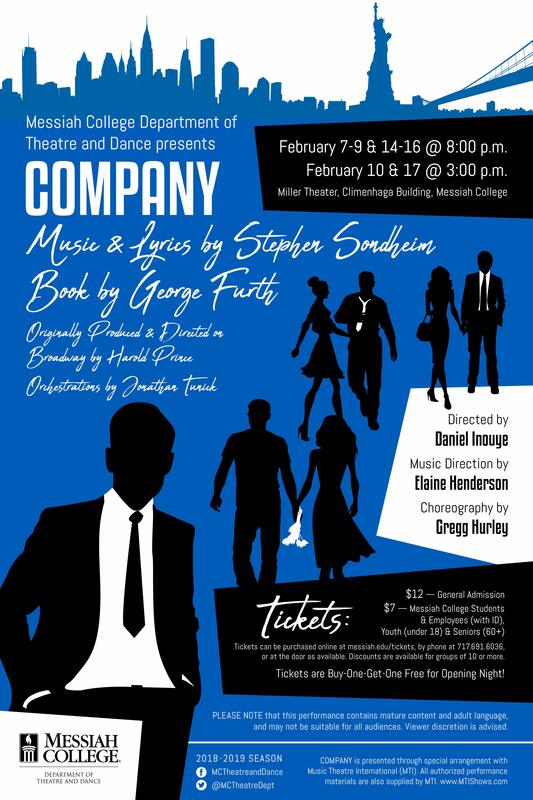 This year’s musical is Company, following the story of Robert, an unmarried bachelor who is thinking back on his unmarried state on the night of his 35th birthday. As his friends try to explain the pros and cons of being in a relationship, Robert has to come to terms with his decision to remain single. Content warning: Mature content and adult language.